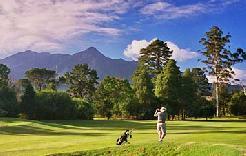 The Kingswood Golf Estate is idealy positioned for your golf holiday in South Africa's Golfing Mecca, between the Fancourt Links and George Golf Course - right in the heart of the Garden Route. 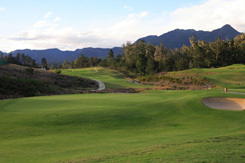 From its perfect blend of design and scenery, to its temperate weather, playing golf on Kingswood’s Championship Golf Course is a unique challenge, and one to enjoy again and again. 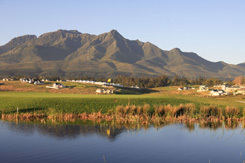 The Kingswood Sally Little signature golf course was designed by Danie Obermeyer, and together they have created a masterpiece of exciting challenges for all golfers. 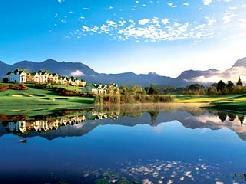 Danie Obermeyer has created his trademark of superb greens that are always a talking point on this undulating, charming yet challenging layout. 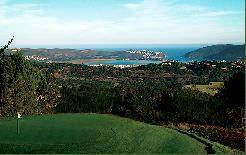 Another talking point, and indeed a major feature of Kingswood, are the bunkers. 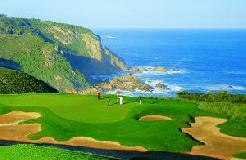 They are a memorable aesthetic feature of the course, and also an intimidating impression to first time players. 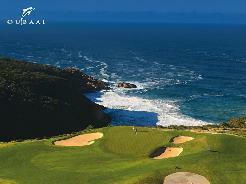 Although the sand traps are not as challenging as they may seem, it does require one to plan your shots in order to avoid them. 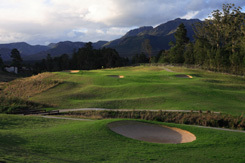 Kingswood Golf course was designed to blend in with the lush background of the Garden Route and is a unique 18-hole challenge. 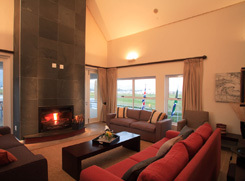 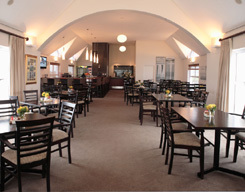 When playing golf at Kingswood, you will notice that a ‘links’ theme is prevalent throughout. 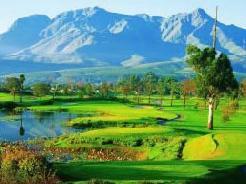 This magnificently set golf course is a prime example of using the natural indigenous beauty of the area to provide a competitive game that is challenging to the skills and the senses.